Single Swinging Seamless Molded Fiberglass Manual Door | Dock Door Systems Inc. 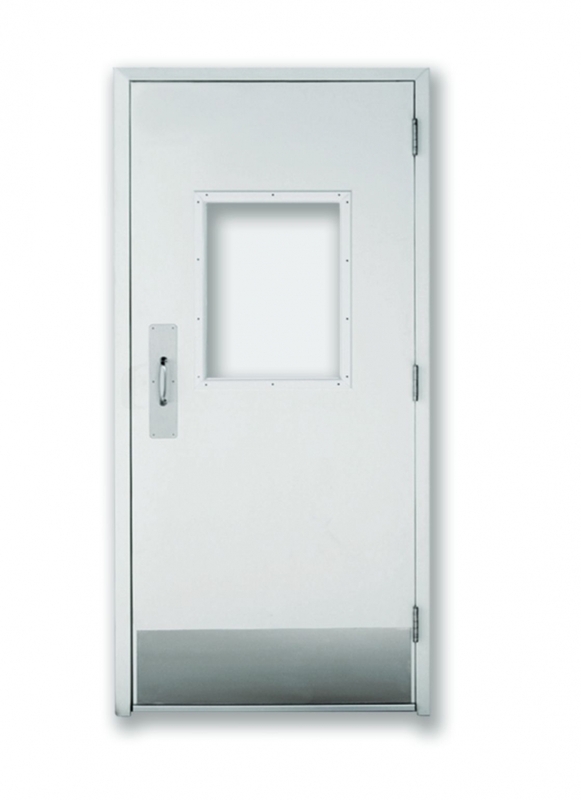 The 220 manual swinging door utilizes a totally seamless fiberglass panel with a polyester gel-coat finish. The Non-pourous, non-shedding, and non-absorbtive panel surface withstands fingerprints, fading and corroding even when exposed to harsh chemicals and heavy washdown applications. Up to 4’0” x 9’0”. Frame mounted, three-sided bulb type perimeter gasket, and bottom sweep gasket. CleanView® flush vision panel. All stainless steel construction available in 316L.